Latest Dota 2 patch reveals Winter is coming. To Dota 2. The latest Dota 2 patch has just landed in the test client. And while many were hoping for a new hero in the form of Medusa to enter the scene, no new hero has been deployed. Instead we have tweaks to bots and an updated look to Dota 2’s friendly spider Broodmother. Laying deep in the code, though, are clues to a new winter themed map. It has snow and everything. The more noticeable ones include a new look for Broodmother. Clearer eyes, basically. Another change may well have been suggested by Reddit: the hand of Midas now turns creeps in a pile of gold which is then sucked into the hero. Have a look at the original suggestion here. Most interesting though, is the first signs of a Winter theme for Dota 2. Over Halloween, Dota 2 introduced the Diretide event which included a whole new game mode which had heroes hoarding candy, while keeping a trick-or-treat Roshan and enemy heroes from stealing it. 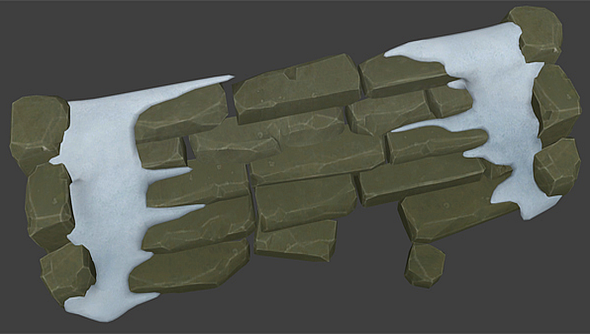 Snow appearing in the texture files suggests a similar event might be on the cards over the holiday season. If you want to see the full picture of what’s been added, take a look at Cyborgmatt’s latest blog. Do you think this winter map will top Diretide? Lets us know below. UI– Clicking on a hero row in the Heroes Played tab on the profile now shows a match history filtered by that hero.- Greevil Egg contents are now displayed correctly in the Steam trading UI. GAMEPLAY– Pseudo Random chances are now enabled for these abilities: Coup de Grace, Slardar’s Bash, Time Lock, Drunken Brawler’s Crit, Headshot, Blade Dance, Chaos Knight’s Crit, Lycan’s Crit and Skeleton King’s Crit. BOTS– Lich Bot will no longer Dark Ritual an ally’s dominated creep (heh).- Fixed bug that was causing bots to never try to avoid linear projectiles.- Bots will now try to avoid Illuminate (both during the channel and when the projectile is released).- Bots will now buy invisibility-detection items for an enemy Weaver.- Bots who are the targets of Life Drain and Mana Drain will now try to break the channel by outranging it.- Lich bot will no longer stop to cast Frost Armor when frantically attacking or retreating.- Bots will no longer pick up a droppable item if it would require them to drop an item.- For new players, the default coop bot difficulty level is now Easy.- Bots will now drop muted items that they’ve picked up in the fountain.